This beautiful settlement is surrounded on three sides by towering mountain walls. 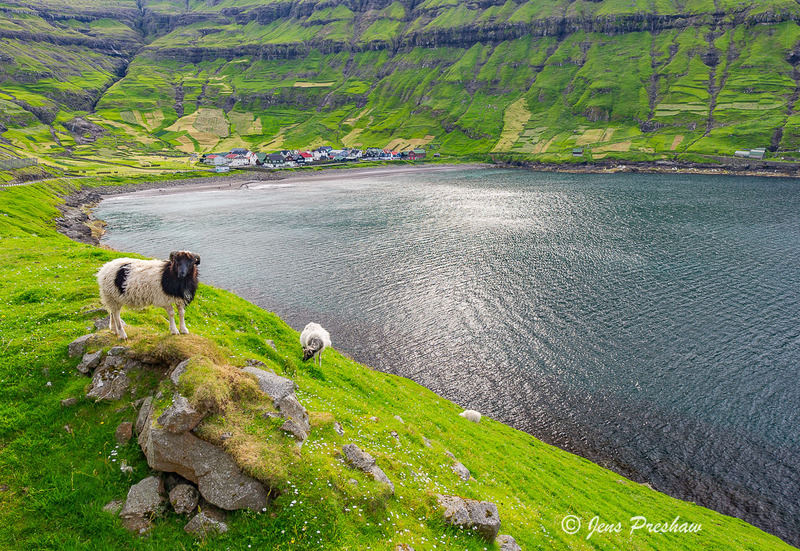 The village lies in what the Faroese call a botnur which is a glacial circular valley formed during the ice age. In 1633 and 1868 rockfalls virtually destroyed the tiny settlement.